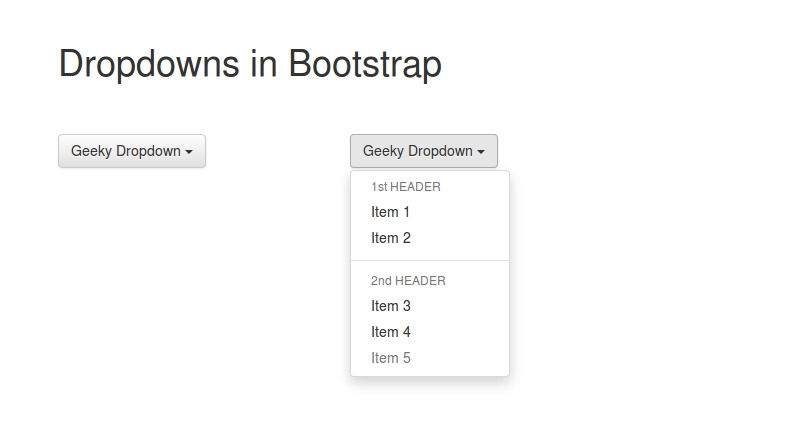 In bootstrap, dropdowns are created using the class=”dropdown”. What we will do is create a button and then convert the button into a dropdown. As already stated in the last few tutorials, buttons can be created using the <button> tag. But in this button, we want to create a dropdown, so we will add the class=”btn dropdown-toggle” and data-toggle=”dropdown”. Basically, it would look something like this. Now we want to convert this button into a dropdown. 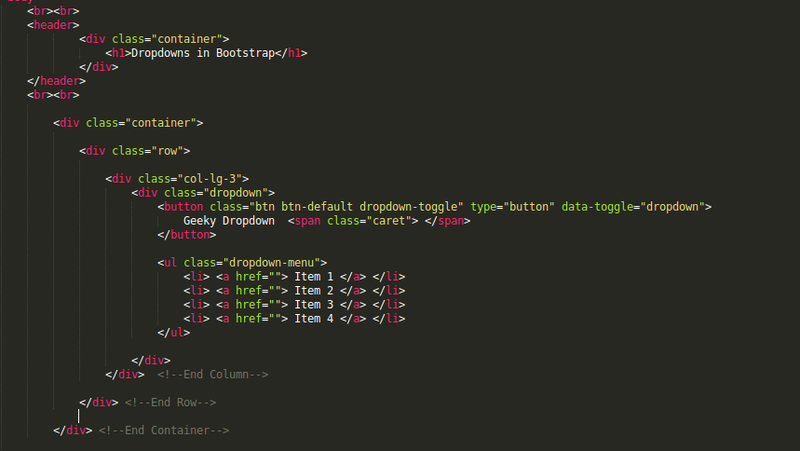 So, we’ll create an unordered list using the <ul> tag having class=”dropdown-menu” and add items using the <li> tag . 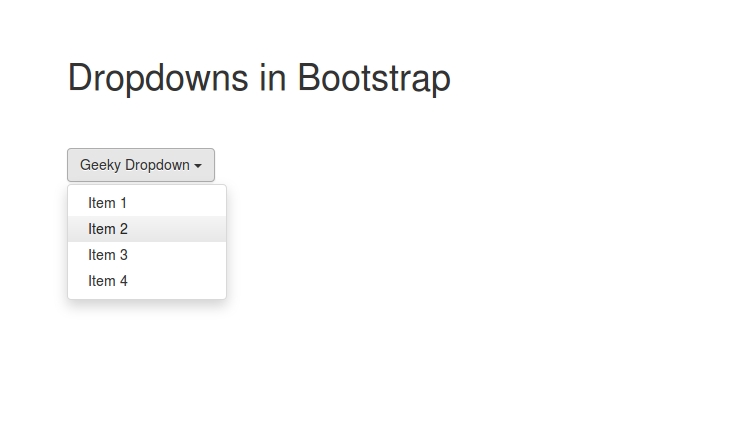 You can make your dropdown better by using classes in the <li> tag. 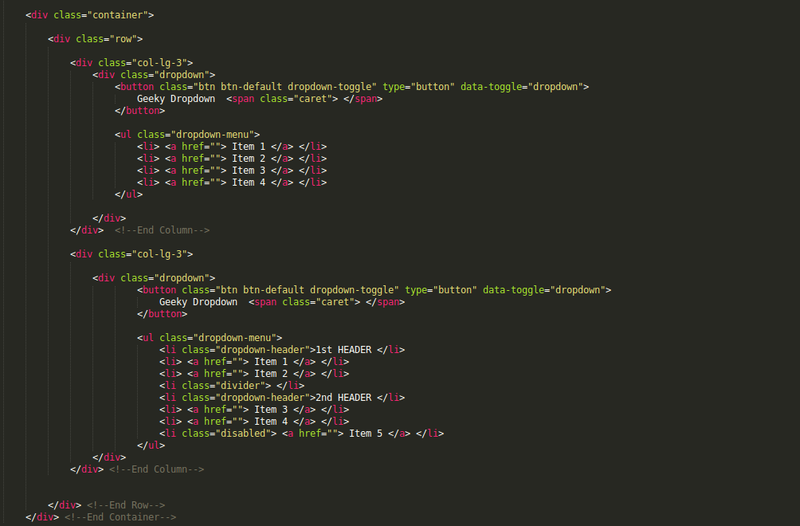 To add a header in a dropdown add class=”dropdown-header”, to add a divider between items, use class=”divider” and to disble an item in the list, use class=”disabled”. 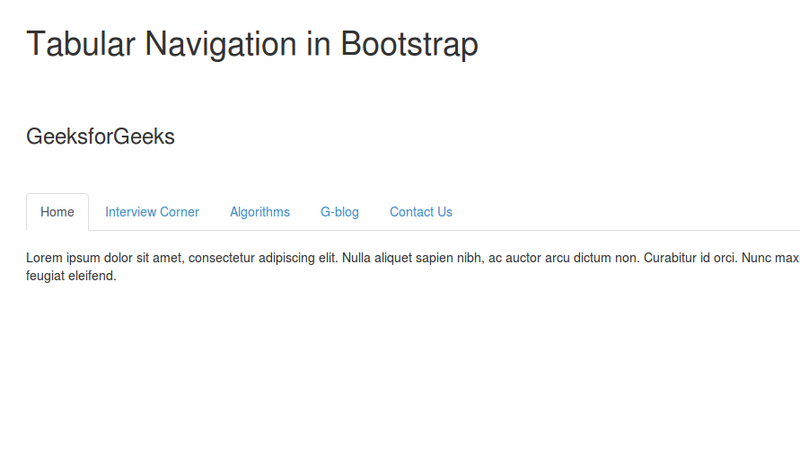 To create a tabbed navigation menu, we need to make an unordered list using <ul> tag and then add class=”nav nav-tabs” . 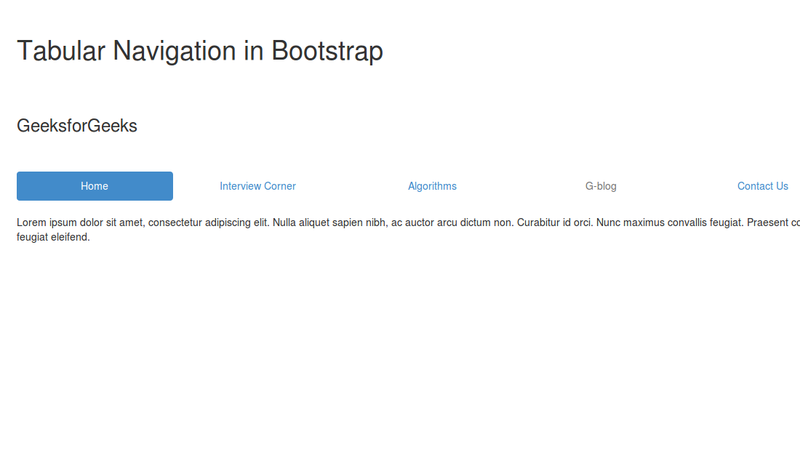 Now we can add our tabs using the <li> tag. Remember assigning one tab with class=”active” to view it as the default active tab. 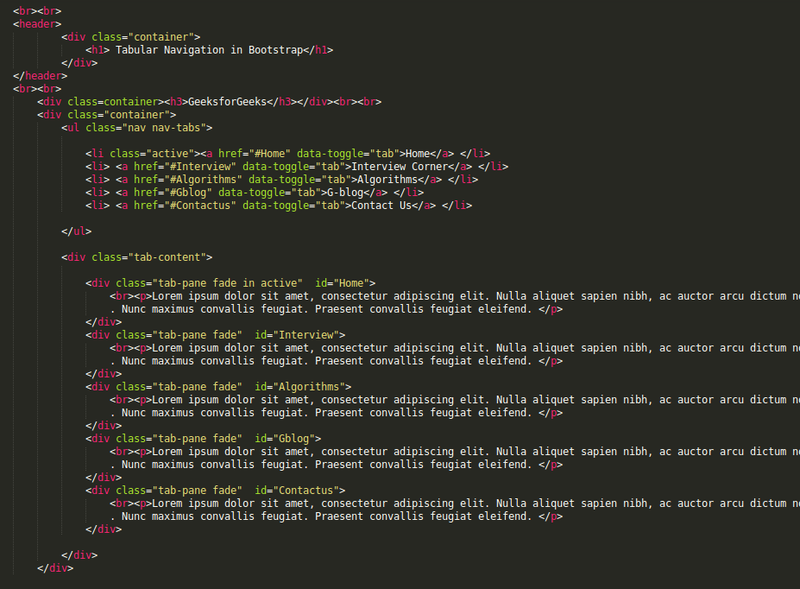 Now, we need to write the write the content of each tab using the class=”tab-pane” within the class=” tab-content”. Note that you must assign id’s to the respective tab-pane. Adding the class=”fade” adds a fading effect when the tabs are switched.